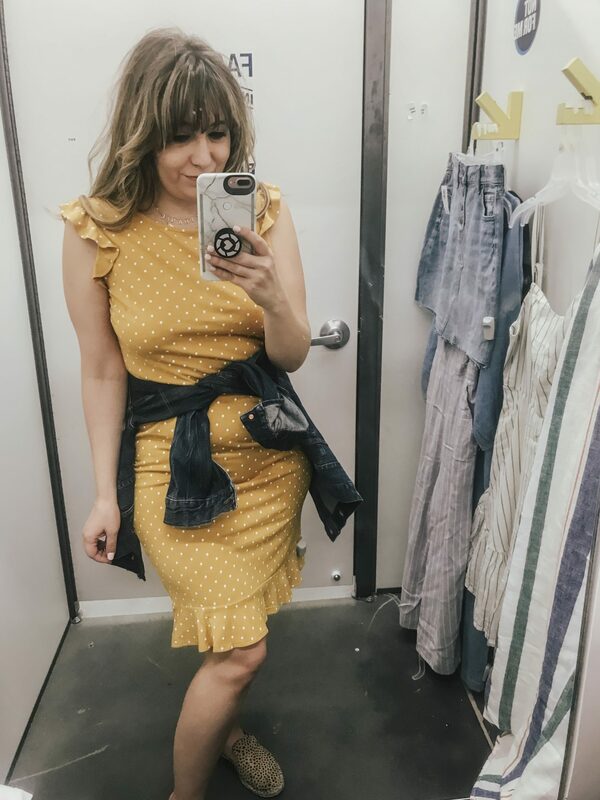 Seriously, I have the worst Old Navy in the world in my area, but I was pleasantly surprised when I popped in the other day and found quite a few cute new pieces! Shared all of this on Instagram Stories, but wanted to be sure to link to everything here on the blog as well! Old Navy Sale: 30% off your order, no code needed! Definitely think this is worth ordering in a petite size if you’re petite like me. I’m wearing a size medium! 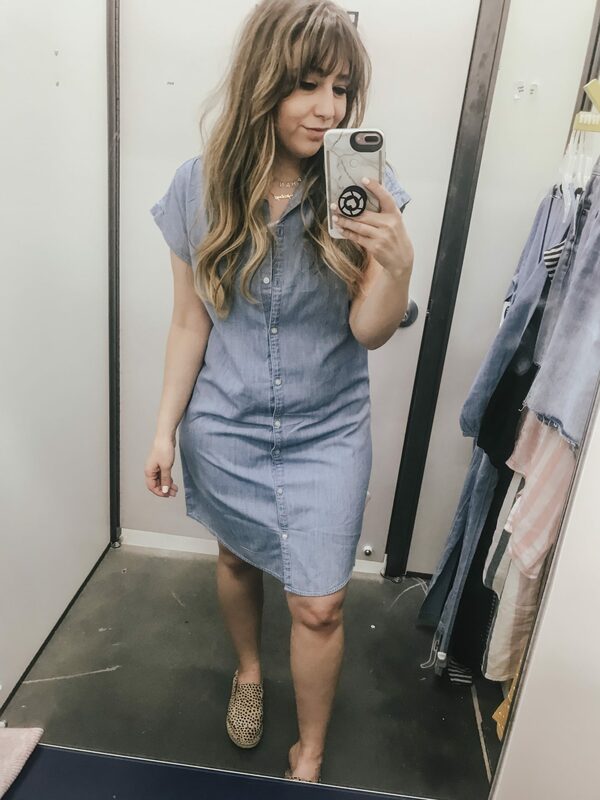 This is a really great and versatile dress for spring and summer. Dress it up, dress it down. Really wishing it was a little shorter, but again, that’s why I’d need the petite size! Wearing a size medium. Available in 4 colors. I don’t think you’re supposed to wear it off the shoulder, but I don’t care, I like it that way haha!! 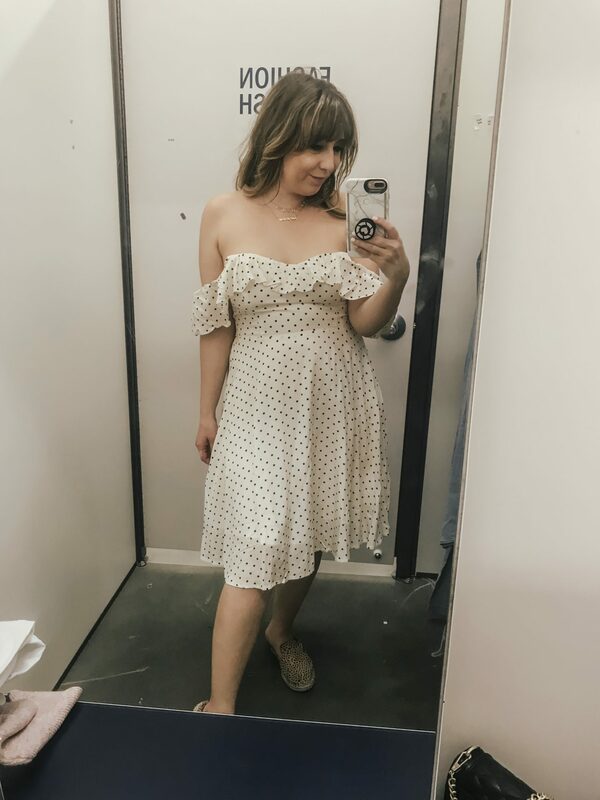 Such a cute spring dress. It’s lined so it’s totally not see-through. The dress is chiffon and just breezy and pretty… I love it! Wearing a size medium. 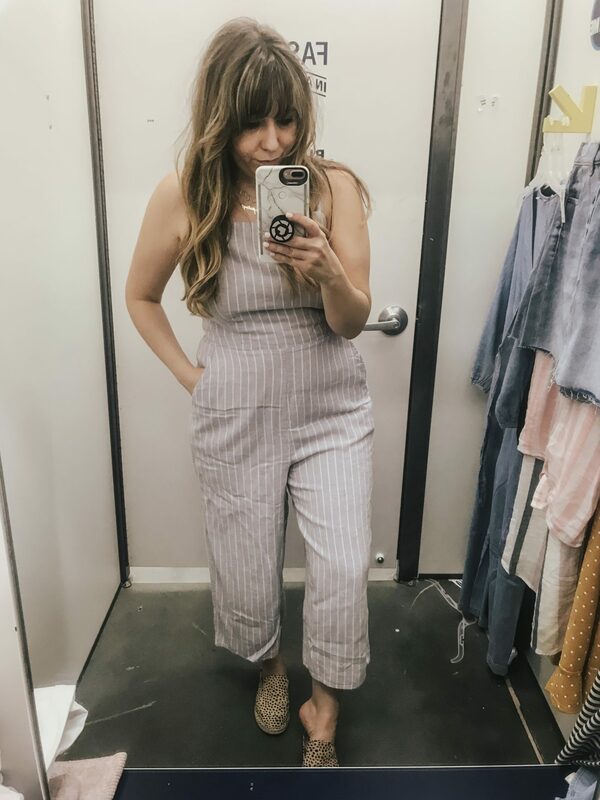 Another piece I’d recommend ordering in a petite size if you’re petite! Didn’t feel this one was 1000% the most flattering, but it could be cool! I think it’d be a really fun piece to accessorize and can easily transition day to night. 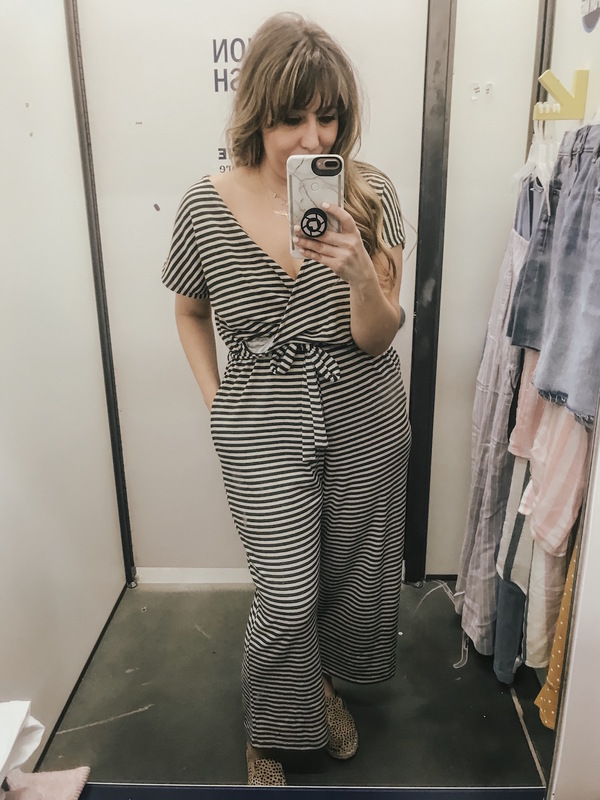 I’m actually really surprised by how flattering this jumpsuit is…. it kind of doesn’t seem like it would be, but it really is! I think the nipped in waist is very slimming and the leg is forgiving. I’m not wearing a petite, but suspect the petite size would be best! (I’m always a fan of ordering petite if it’s available!) 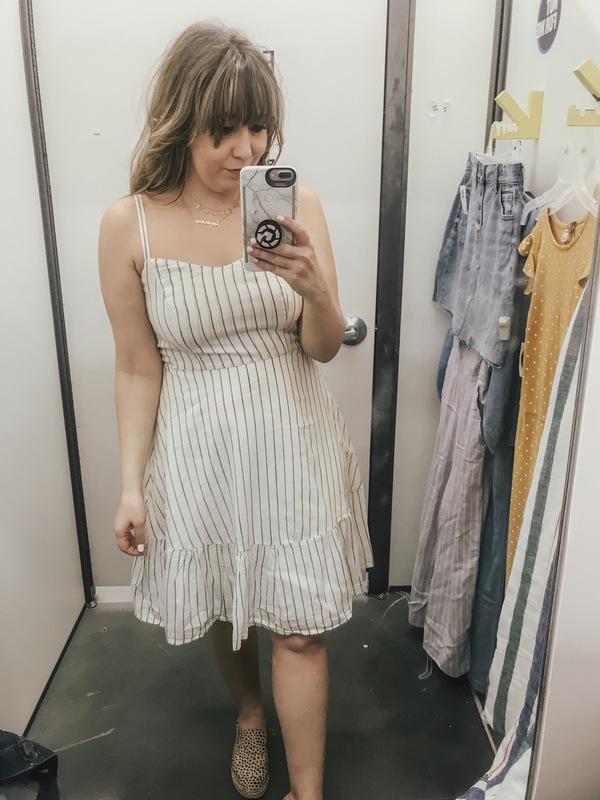 So weird to me that Old Navy doesn’t offer petite and tall sizing in-stores! Isn’t this top the sweetest? 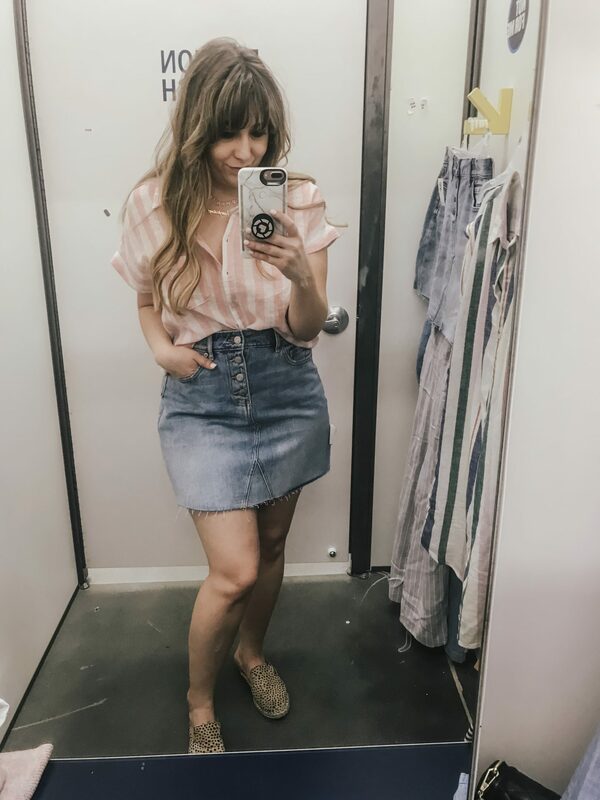 It’s only $22 and actually ties at the bottom… I just liked the way it looked tucked into this cute high waisted jean skirt! 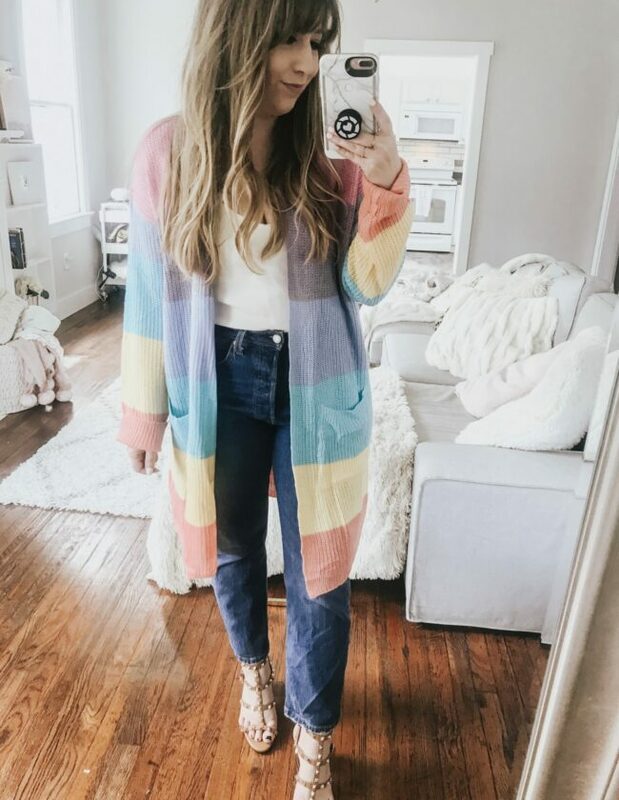 It comes in 3 colors and is so cute for spring. I think the sleeve hits in the perfect spot and it’s lightweight and comfy. This denim skirt is totally my favorite right now! I’ve been wearing it non-stop! It’s a great length, super flattering fit and I love the high waist. It’s available in 3 washes: light, medium and dark. For some reason they’re listed separately… I think I need the dark one, stat! I think this dress is another that you should definitely order in a petite size, if possible! I love the fit, but felt it was kind of long on me since in-store it’s only available in regular sizing. Love the colors, though! Perfect for spring. It sold out immediately and was re-stocked, so make sure to grab it while you can! 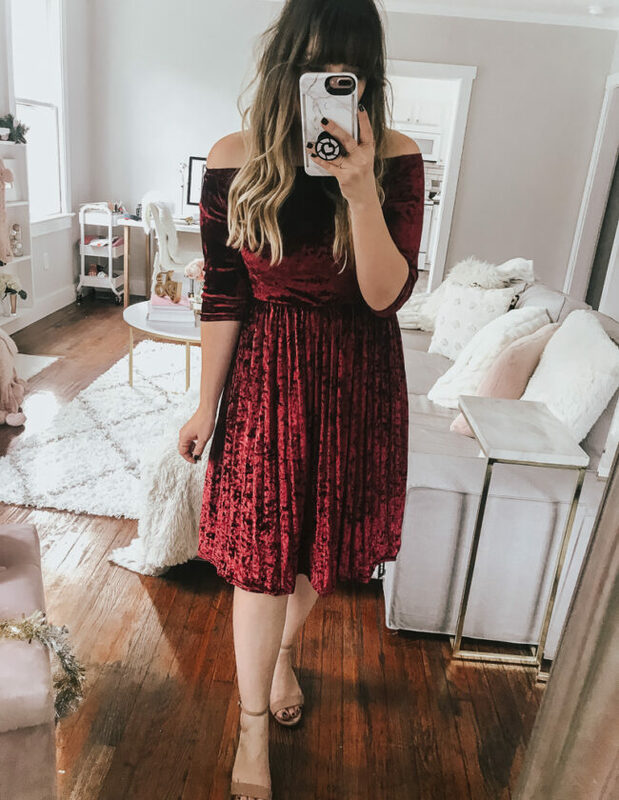 This dress is so pretty and fun! Love the flirty ruffles and the polka dot print! I am not typically a fan of yellow, but felt drawn to this one for some reason. Available in 3 colors, I’m wearing a medium. I didn’t love that I could kind of see my belly button through the dress, so I tied on a jean jacket around my waist!! Just keep in mind you’ll probably need a Spanx underneath or something. 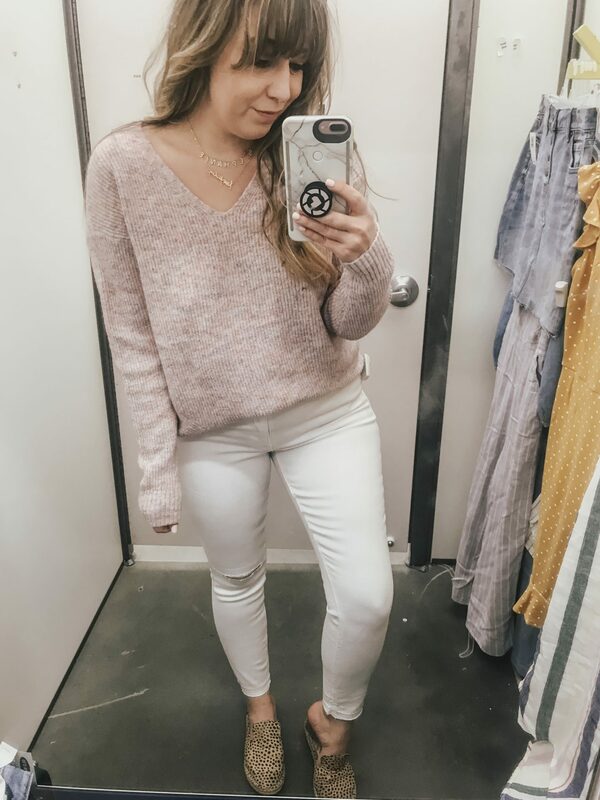 OK, so I typically always hate how I look in white jeans, but I LOVE THESE! They were really flattering and I looked super skinny! PLUS, they were not see-through, which can usually be the problem. LOVE THESE. They ave a great rise and I liked the distressed knee. 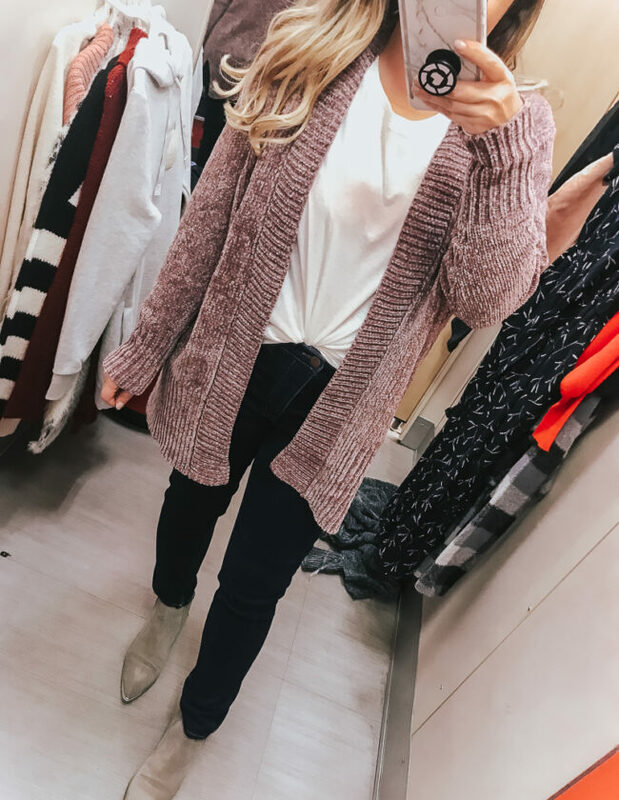 This cozy sweater is so soft and I sized up for a more oversized fit… it’s really quite fitted if you order true to size! 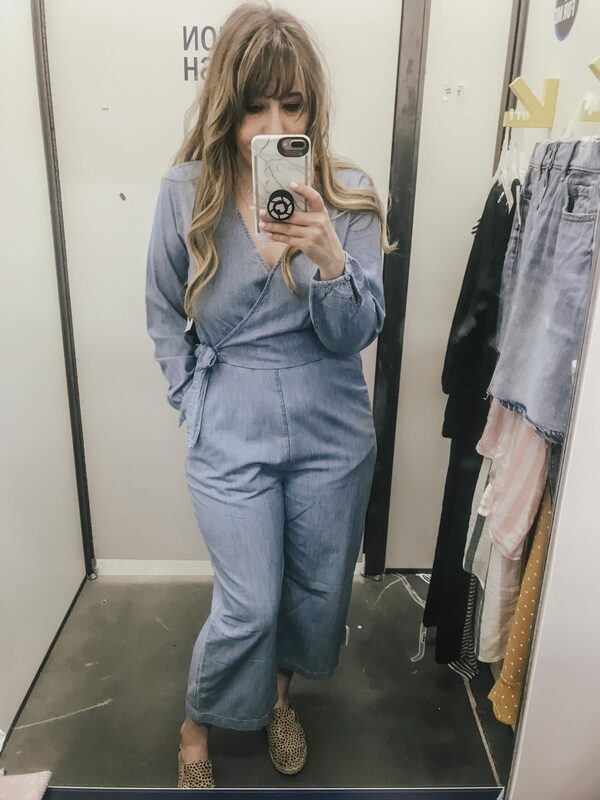 OK, so you’re not technically supposed to wear this jumpsuit backwards, but I don’t care, I’m doing it anyway! It works both ways and looks super cute! 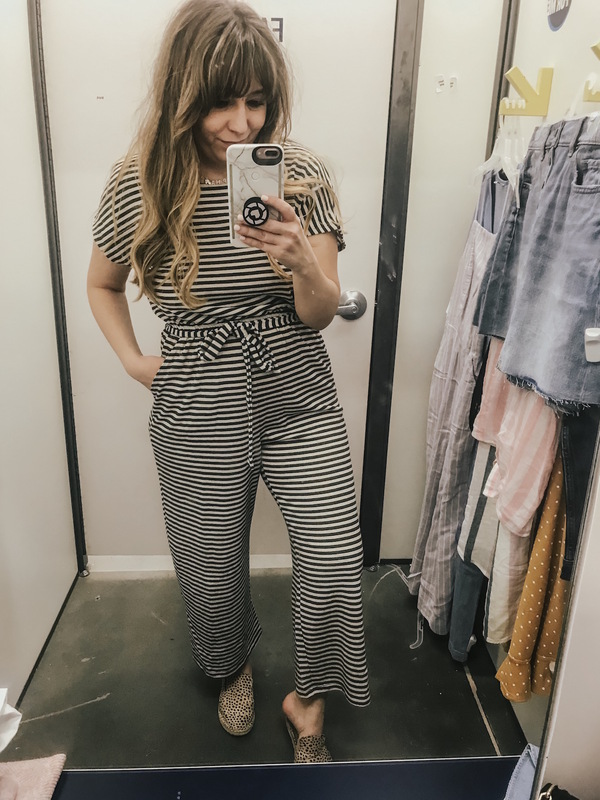 This jumpsuit is super soft and so, so comfortable, I can’t recommend it enough! I also felt it was really flattering on. LOVE the stripes! 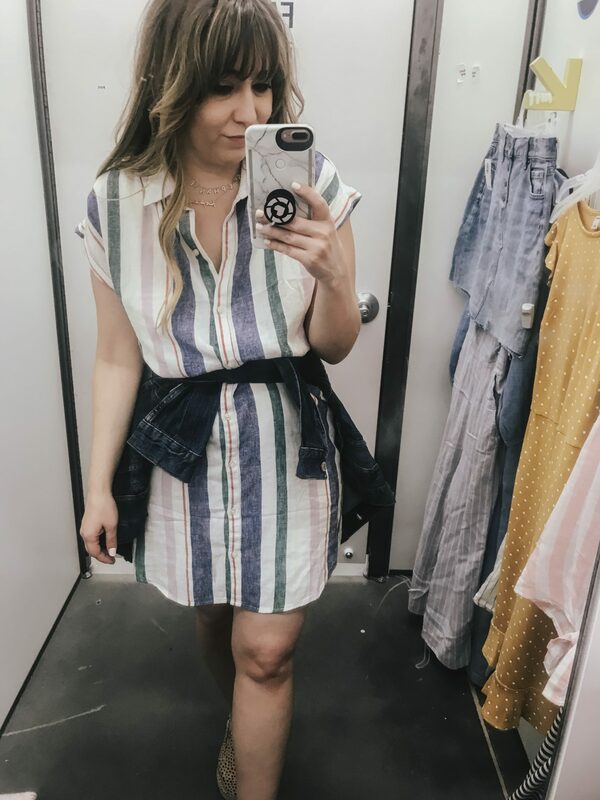 How cute and flattering is this striped dress? I think you can definitely dress it up, dress it down and it’s comfortable and light. I like the way the top half fits, very slimming! Hope you loved this try-on! Can’t wait to hear which piece is your fave!! Drop into the comments and let me know.